Property 4: Deal buy 3 nights get the 4th night free!! WiFi! New Luxury Mattress!! Property 11: HEAVEN'S VIEW WHERE NEW MEMORIES ARE MADE!! Property 14: Perfect Winter Getaway! Wood Burning Fireplace! Hottub! Sunroom! Property 17: Pet freindly cabin 50 yds to private river access. Close to major attractions. 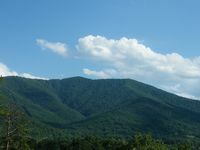 Property 19: Breathtaking Views and modern amenities on the side of the mountain! 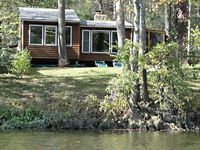 Property 25: LIFE IS BETTER AT THE SHENANDOAH RIVER AT OUR COZY RIVERFRONT COTTAGE!! Property 29: Riverfront Cabin Large Private Lot! Canoe! Kayak! WIFI! Hottub! Falling Leaf Cabin Secluded With Mountain View! Property 34: Falling Leaf Cabin Secluded With Mountain View! "Solitude" Spectacular 1 BR Cabin w/ Hot Tub near Luray, VA.
Property 35: "Solitude" Spectacular 1 BR Cabin w/ Hot Tub near Luray, VA.
Beautiful Romantic River front cabin with mountain views,fantastic location! Property 37: Beautiful Romantic River front cabin with mountain views,fantastic location! My favorite of our 3 vacation properties—quiet, comfortable, 10 min from town. Property 38: My favorite of our 3 vacation properties—quiet, comfortable, 10 min from town. Property 39: Spring is here! Red buds & dogwoods! the River and a hot tub! "The Cabin At Trout Run" - Enjoy The Sounds Of The Stream Only Steps Away! Property 41: "The Cabin At Trout Run" - Enjoy The Sounds Of The Stream Only Steps Away! SmileInn Over the River, Log Cabin w/ Private Riverfront! Pet Friendly! Property 44: SmileInn Over the River, Log Cabin w/ Private Riverfront! Pet Friendly! Property 47: Radharc an Mhóinéir :: A Charming, Secluded Cabin by a Stream in Lost River! My husband and two boys (aged 11 and 9) stayed at the cabin for 2 nights. We loved the look and feel of the cabin itself, as well as all of the beautiful scenery nearby on Skyline Drive. After great hiking, we enjoyed the outdoor hot tub and the indoor fireplace. This was just what I was looking for in my mountain getaway trip. Perfect little cabin on the river. Comfortable and charming.